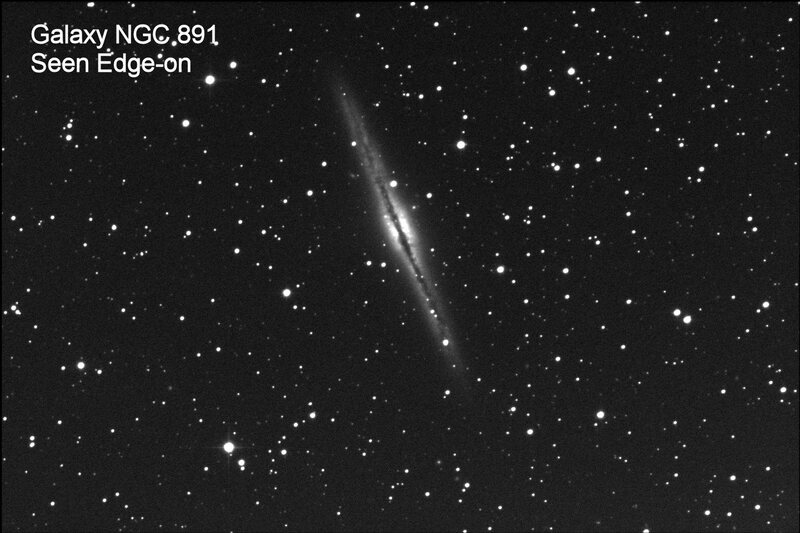 NGC 891 is the catalog name for a galaxy a mere 40 million light-years away. It is likely a spiral galaxy much like the Milky Way, your home galaxy, viewed edge-on. The only way to view our own galaxy is from within the disk. Compare our view of NGC 891 with this extreme wide angle panorama of the Milky Way. 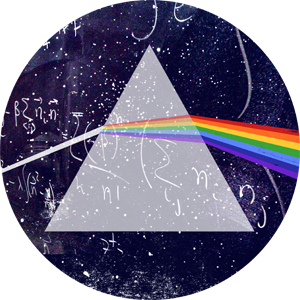 The dark regions are clouds of gas and dust that are opaque at visible wavelengths. At 12 million light-years M81 is even closer than NGC 891. 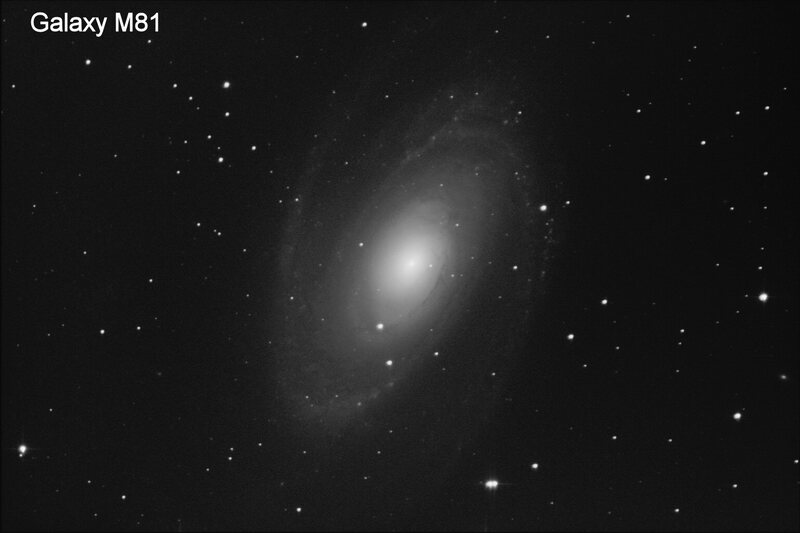 We happen to see M81 about halfway between edge-on and face-on. The dust lanes are less apparent and the spiral arms more obvious. Although most of the light from a galaxy comes from its core, a great beauty is instilled by the two major arms. Newly formed, hot, blue stars trace the arms and give spiral galaxies their visual form. Galaxies clump together. If you see a galaxy in the sky, there is likely another one nearby. Think of M81 as a resident of the next cul-de-sac a block away. M81’s immediate neighbor is M82. They recently passed each other in the night and M82 got the worst of the gravitational interaction. 200,000,000 years ago M81 clipped the edge of M82 and stirred things up. M82 appears near M81 in the sky, but at essentially the same distance they really are neighbors. The recent (200 million years ago) interaction between them has stirred up the gas and dust in M82 and turned it into a starburst galaxy. The Milky Way Galaxy, (where you live), creates about 1 solar mass worth of stars every year. M82 converts ten times that mass into stars every year. Even more spectacularly most of them are formed with a few thousand light-years of the galaxy’s core. The result is that tremendous, hot winds of gas are being blown out from M82’s center. You can see them in the image in silhouette as dark patches against the galactic background. They can also be observed above and below the disk of M82 in light emitted by ionized hydrogen gas. 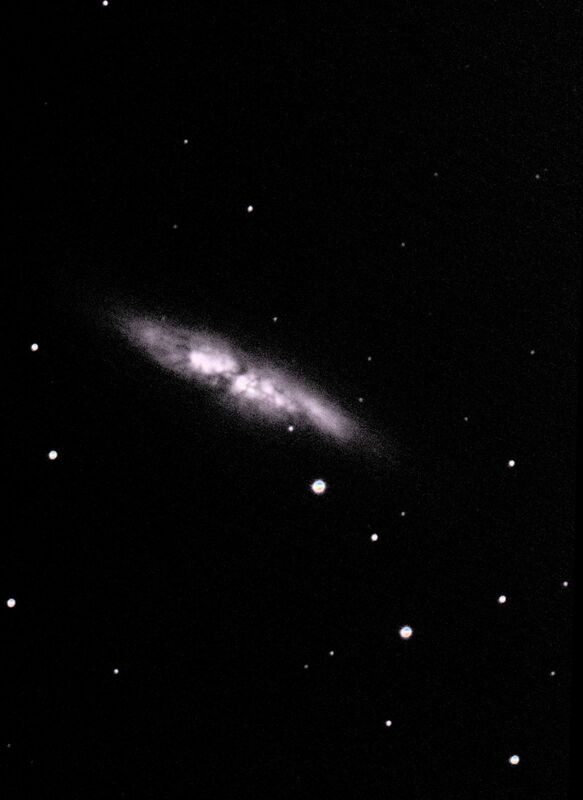 The Hubble Space Telescope observed M82 in March 2006. 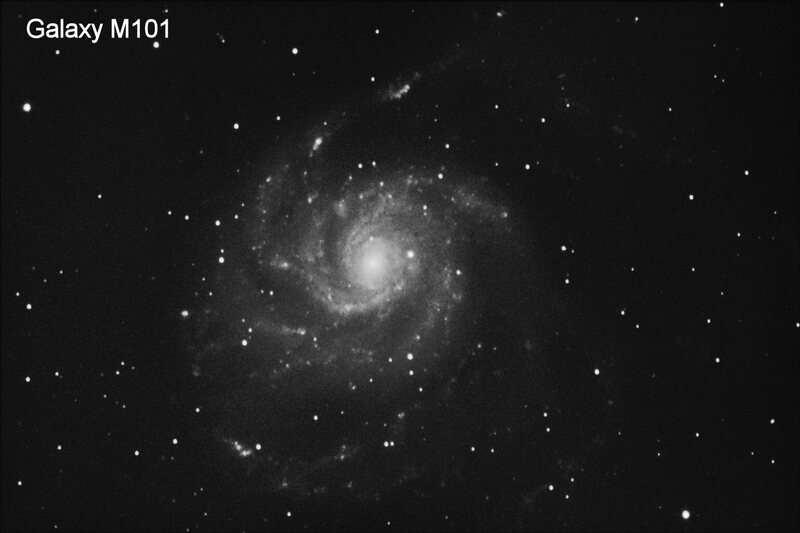 M101 is a grand spiral galaxy seen face-on. The clumps of light in its arms are star-forming regions. The few massive stars formed are very hot and very bright, causing the interstellar medium nearby to fluoresce. Lacking the resolution to see stars individually at a distance of 19 million light-years, we see these regions as bright splotches in a spiral arm. About 20 million years ago a star exploded in M101 and its light reached us in August, 2011. While perhaps uncommon for an individual galaxy on a particular night, some galaxies produce a supernova every decade or so. This was the brightest supernova seen from the northern hemisphere in 30 years.